I think it’s safe to say that we are definitely in Autumn now and I love it! Bring on Halloween and Christmas! Ok slow down Sarah, but yes it is the most wonderful time of the year! Saying all this, I mean surprisingly not really enjoying the early dark nights as much as I do but I really feel that this is due to the fact that we never really got Summer here in the UK, or at least us northerners certainly didn’t! Saying this, I think it’s definitely a sure thing we’re going to get a cold winter! I love that the Autumn/Winter fashion is starting to role out in stores, including some of the pieces I was lucky enough to preview a few months back at AW17 fashion preview events and now I can finally get my hands on them! 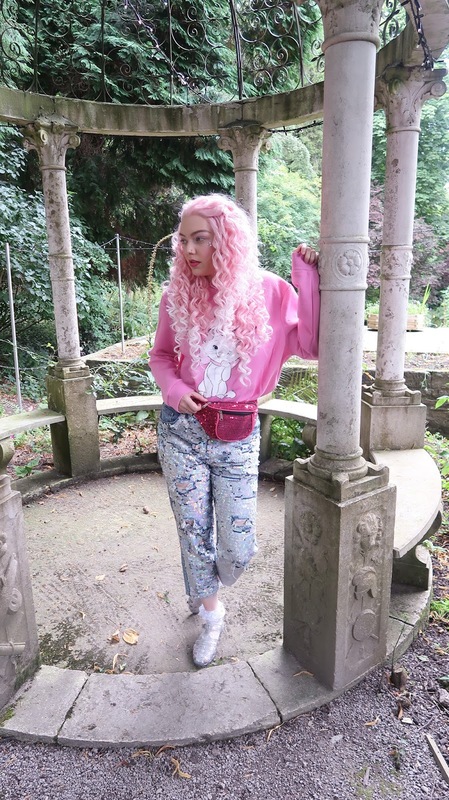 For my first Autumn outfit I had put together this snugly Marie jumper from Primark into a wearable autumn outfit; warm enough for the changing season but not too warm! 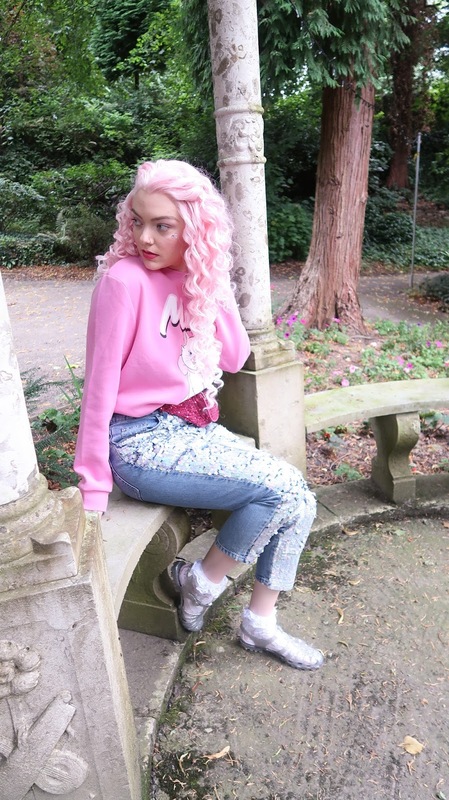 I paired the pink jumper with these amazing Topshop sequin jeans I picked up a few weeks back. 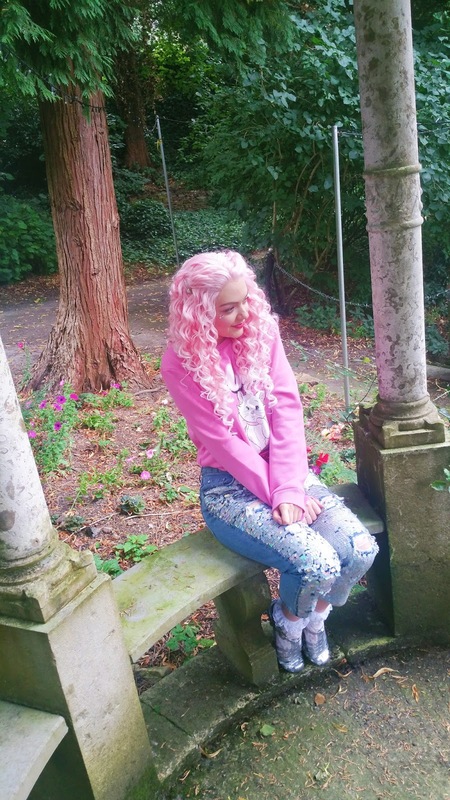 I wanted to keep the outfit fun but wearable and I think the sequin and pink with the baggy fit keeps it that way. 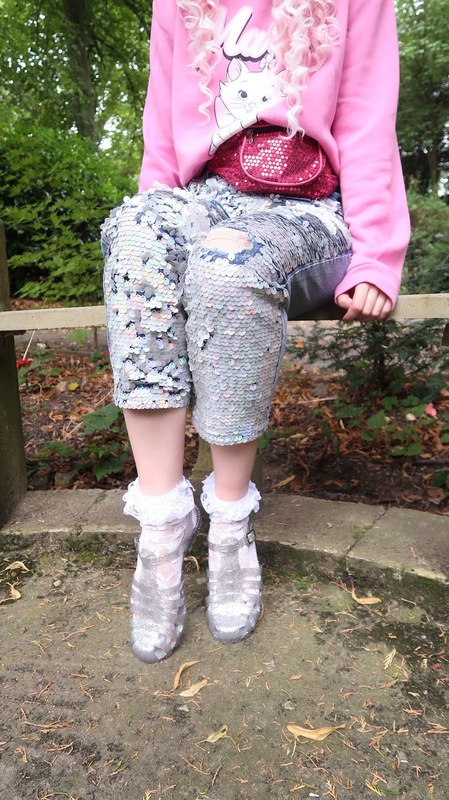 I added these cute lace socks with the jelly shoes so that they were more wearable for the season, and finally added a touch more sequin and pink with the cute bum bag! 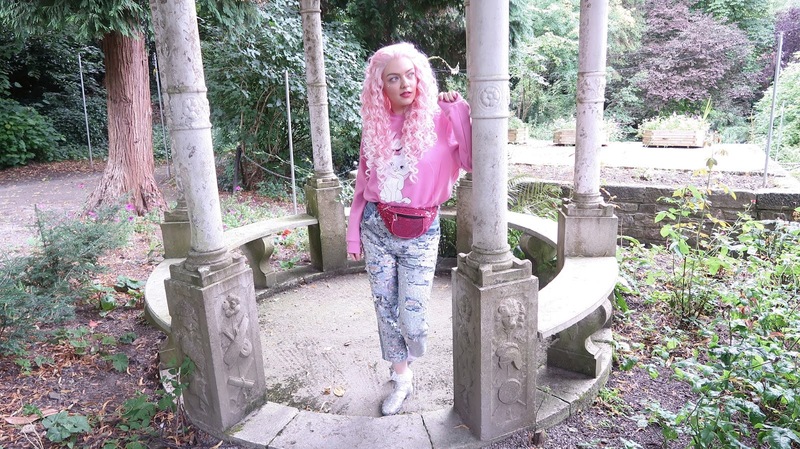 I love these Primark jumpers especially; I haven’t stopped wearing them since I bought a few in the collection! Are you looking forward to the changing season or are you more of a Spring/Summer person?